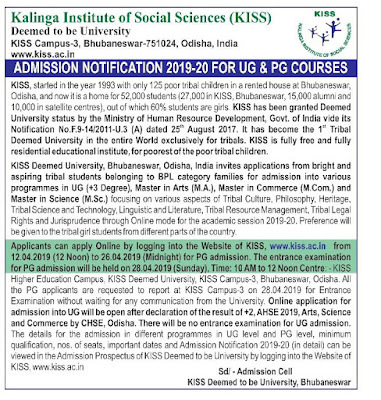 KISS Bhubaneswar Admission Notification 2019-20 for UG & PG Courses. 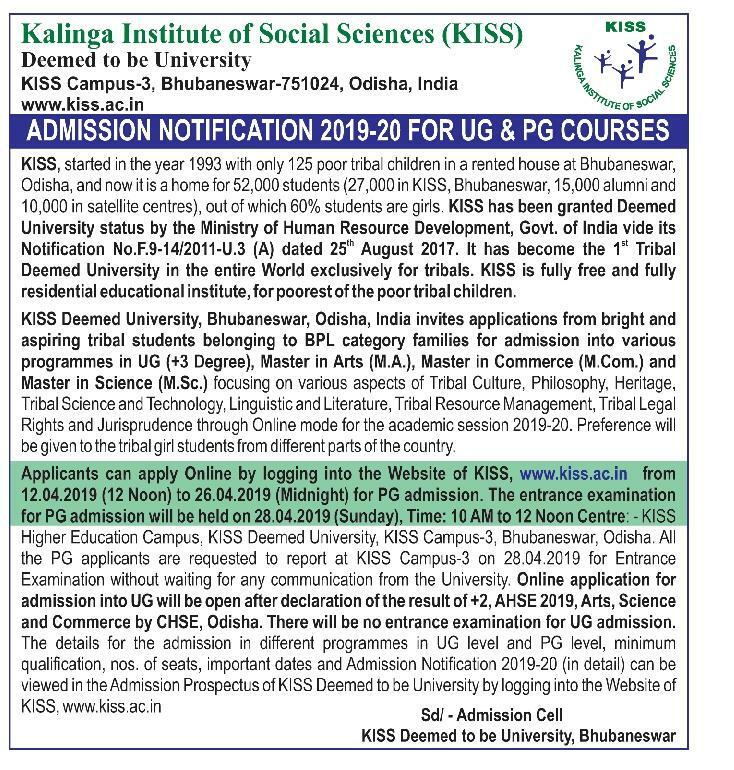 Kalinga Institute Of Social Science (KISS) Published Admission Notification for Admission into UG & PG Courses. Interested Candidates Can Apply through Official Website. KISS ADMISSION NOTIFICATION 2019-20 FOR UG & PG COURSES.